* Allow 3-4 weeks shipping on all items in U.S.
Last edited by wayne1218; 06-26-2018 at 04:02 PM. Make sure you read the rules. These changes were made. Your bid will be invalid and ignored if all rules are not followed. You may also be banned from the Auction. This Auction will close at any time without warning, so if you want it, you better pay close attention. Don't be afraid to use the Like button on this post. It does 2 things. It lets us know what kind of items you guys actually like and it also shows appreciation for the person putting up the prize! The SoundLink Color Bluetooth speaker II was engineered to deliver bold sound wherever life takes you. From the pool to the park to the patio, its rugged, water-resistant design lets you enjoy the music you love in more places. Voice prompts make Bluetooth pairing easy. And up to 8 hours of listening per battery charge lets you keep your playlists playing. 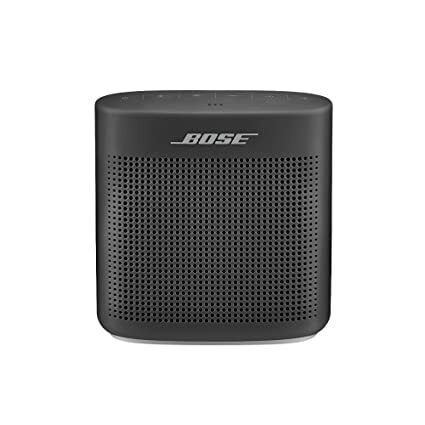 Like its predecessor, the Bose SoundLink Color is a compact portable Bluetooth speaker that delivers impressive sound for its size (the sound is improved) and 8 hours of battery life. It's now water-resistant and adds speakerphone capabilities. Soft-to-the-touch finish attracts specks of dust and lint. No AC adapter included. Modestly redesigned, the next-generation SoundLink Color is an excellent compact Bluetooth speaker that's water-resistant and has speakerphone capabilities, as well as improved sound.